Sony understands that the competition is tougher than ever and that if it wants to stay in the race, it’ll have to make some changes. So its new Xperia is a little different from what we are used to, but in terms of performance, is it really original or is it a flagship just like any other? The answer is in our performance test! It’s been less than 2 months since the Sony Xperia XZ2 Premium was introduced and Sony has already come out with a new model. The only problem is that the new device comes with the same SoC Snapdragon 845 (8 cores: 4 Kryo 385 Gold at 2.7 Ghz and 4 Kryo 385 Silver at 1.7 GHz) and less RAM, dipping down to 4GB, whereas the Premium had 6. You have to make sure your premium devices are powerful, of course, but it’s still a little strange that the new device has lower specs. In terms of internal memory, you’ll find 64 GB, which can of course be expanded via a microSD card. There’s no change in terms of connectivity either. You’ll find the same standards for Wi-Fi (a/b/g/n/ac) and Bluetooth (5.0, A2DP, aptX HD, LE) on both models. This represents one of the disadvantages of such a fast production cycle. The technology doesn’t have time to mature and manufacturers simply recycle components. 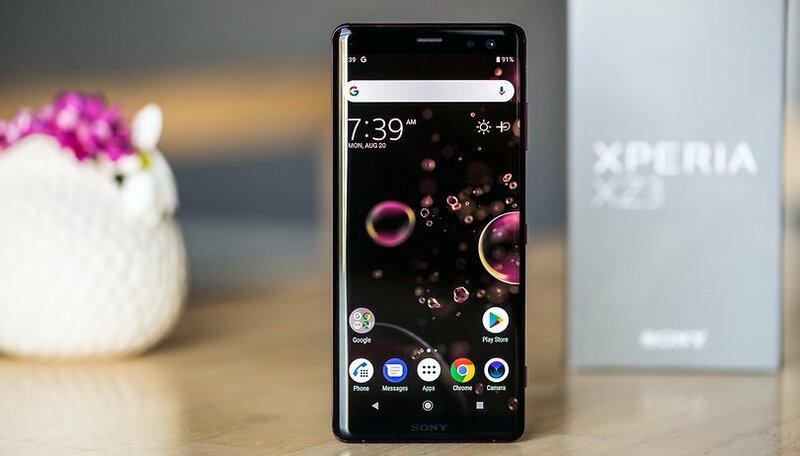 It’s a choice, of course, but it’s a little strange to come out with a new version that has the same features, although the Premium and XZ3 differ in other respects. While some users want a flagship for gaming that doesn’t slow down and offers particularly smooth use, others just want the best. In order to decide between them, we’ve subjected both to benchmark tests, and you’ll find our results below. From these results, you can measure graphics and the computing capabilities of a smartphone and then compare devices on the market. But these figures are only indicators and don't necessarily represent the performance in everyday use. Keep on reading to find out all about our first impressions with the device to see if it will meet your personal needs. We compared the device to another smartphone that has the same version of Android: the popular OnePlus 6. As you can see, the OnePlus 6’s benchmark results have improved since the switch to Android Pie. On Geekbench, the results are quite similar to those from Sony (with a small advantage in terms of multicore). In terms of GPU, OnePlus is in the lead except for in one of the tests. Passmark Disk, Geekbench (Single Core) and Ice Storm Unlimited are the only benchmarks where the XZ3 comes in first. After a short week of use, it’s time for a quick check-up: how is the performance of the Sony Xperia XZ3? I’ve generally had positive first impressions. The device runs really quickly. It opens apps without problems, games don’t lag, and multitasking is very fluid. I tested the device with many games, and it showed no signs of weakness. The device had no issues with graphics and never overheated . In short, that’s everything you’d expect from a flagship in 2018, meaning impeccable performance. To the naked eye, it’s difficult to to say whether the device has improved or not, but the performance is excellent. There's one problem I've encountered on a few occasions: the screen would turn off and then refuse to turn on again for a few seconds. As you might imagine, this was a bit scary when I was about to board a plane and had my ticket on my phone. Do benchmark results play a role when you decide to purchase new phone? Let us know!